What do you think about our City parks? The City is holding 10 Regional Workshops across the City of San Diego. Pick a date and location convenient for you to learn about the Parks Master Plan and provide your input. 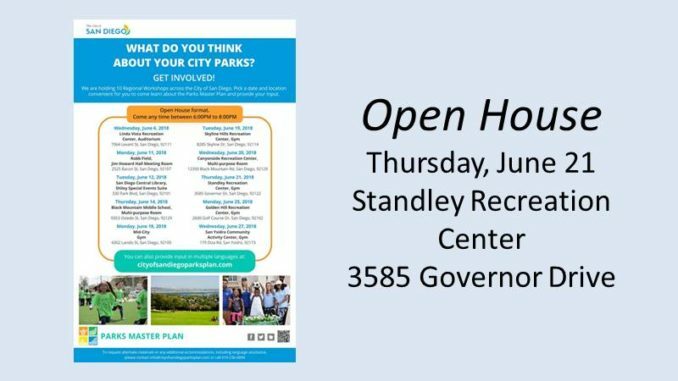 In University City, the workshop is Thursday, June 21, in the Standley Recreation Center gym at 3585 Governor Drive. This will be an Open House format; come any time between 6 and 8 PM.